fring has launched Playgrounds, a new social feature within the fring app that enables anyone to participate in Group Video discussions about subjects that matter to them. Playground is available for free as part of the fring mobile app. In Playgrounds, fring users actively engage in four-way Video discussions either by browsing a list of open Playgrounds or by creating their own video discussions about what’s important to them. fring users can jump into Playgrounds with other fring users from their iPhone/ iPad/ iPodTouch or Android. In addition to public Playgrounds, fring users continue to enjoy free Group Video chat with their friends, two-way video, voice calls and text chat with friends on Android, iPad/iPhone/iPod touch and Nokia Smartphones. Commenting on the news, fring's CEO and Co-founder Avi Shechter said: "Playground Video chat empowers users to video & voice their opinions about things that matter to them. We let users do more than simply ‘follow’ their interests. Now they can actively engage with others via video chat, instead of waiting for character-constrained updates." 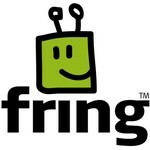 0 comments on "fring Playgrounds group video chat launched"